A fresh batch of newly-upskilled coaches, including five Fijian coaches have gone through the OFC B-License Coaching Course which concluded last Friday at Fiji FA Headquarters in Vatuwaqa. After completing the first part of course last year in New Zealand, eighteen participants from around the region took part in the eight days seminar. 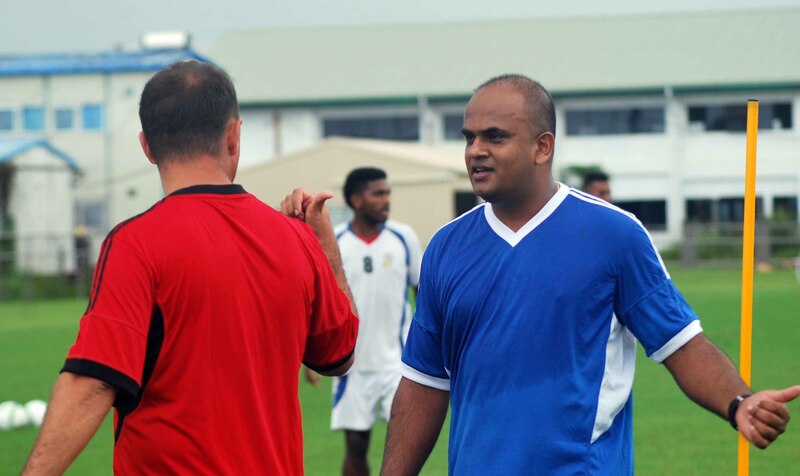 Assistant Lautoka Football coach Anginesh Prasad who was one the five Fijians taking part in said It was really important to continue learning. “The game is constantly changing so, when you come into these environments and are brought up to speed on current learnings and trends, the sort of knowledge you take away is invaluable, “Prasad said. He said the B-Licence is one of the most important steps towards become a highly-qualified coach. “It’s the second step on the advanced pathway and the pre-requisite for the FIFA/OFC A-Licence which, at this stage, is the top of the tree for coaches in this country,” Prasad said. Going forward, the more qualifications you get under your belt and the more learning you do are both going to be very important for your future,” he says. The 2016 Lautoka’s BOG victory coach said he had also found the experience invaluable in the course. He said he has already learned much on the B-Licence and says the ability to define a match-related football problem and find ways to solve it is the most significant thing he’ll take away. “It’s about taking what you see in a game, defining that into a problem and then structuring sessions around that to hopefully get a better result in the following weeks,” he says. Prasad said the course was very beneficial in his life. “This course is very beneficial in my life not only in the football area but also my professional life, this B-License has really helped me to grow as a coach and a professional as well. Prasad plans to grow football in his district after gaining immense knowledge in the course.